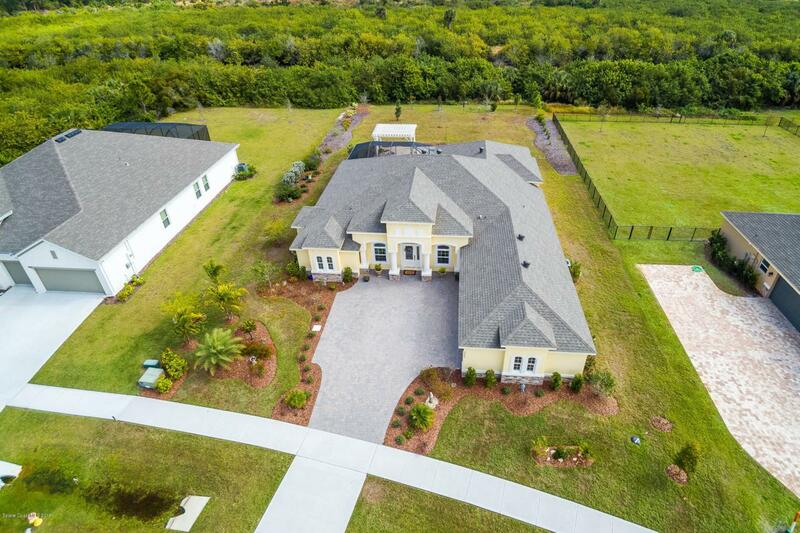 Stunning pool home custom built in 2017 is situated on over 1/2 acre just moments away from tranquil Pine Island Conservation and the Space Center. 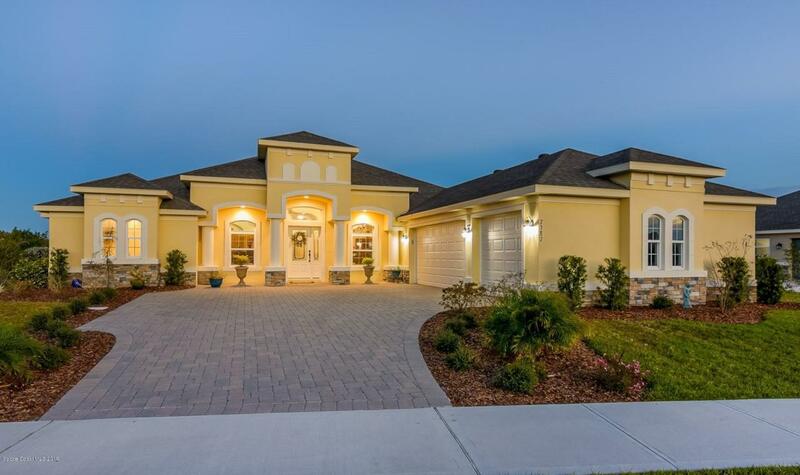 The amazing interior features 5 BR, 3.5 baths, 3 car garage including large master retreat, mother-in-law suite, 3 guest rooms - one of which could be a perfect office, dining, living & family room. Chef's kitchen has custom cabinetry, granite counter tops, KitchenAid appliances including gas range, over-sized kitchen island, & nook with picturesque views. 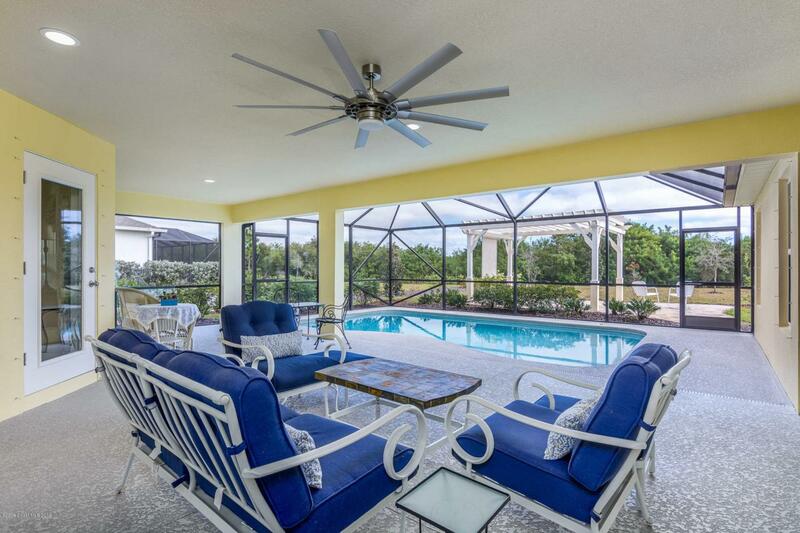 Open concept family room provides ideal space to entertain with built in shelving & large sliding glass door leading to the covered lanai & private salt water pool. Luxurious master retreat has a sitting area, access to pool area, 2 large walk-in closets, & a gorgeous Spa-Worthy bathroom.Private mother-in-law suite features 2 rooms, ensuite bathroom, & direct access to the pool & yard. This home is perfect for entertaining or relaxing in the serene back yard which includes a large covered & screened lanai overlooking the pool, a beautiful Pergola & patio area, & large native landscaped yard with wooded views. Designer upgraded features can be seen throughout the home such as high-end light fixtures & ceiling fans, extensive crown molding & recessed lighting, organizers in each closet, cabinetry in laundry room, pegboard & shelving in garage, enlarged pantry, & under cabinet kitchen lighting. 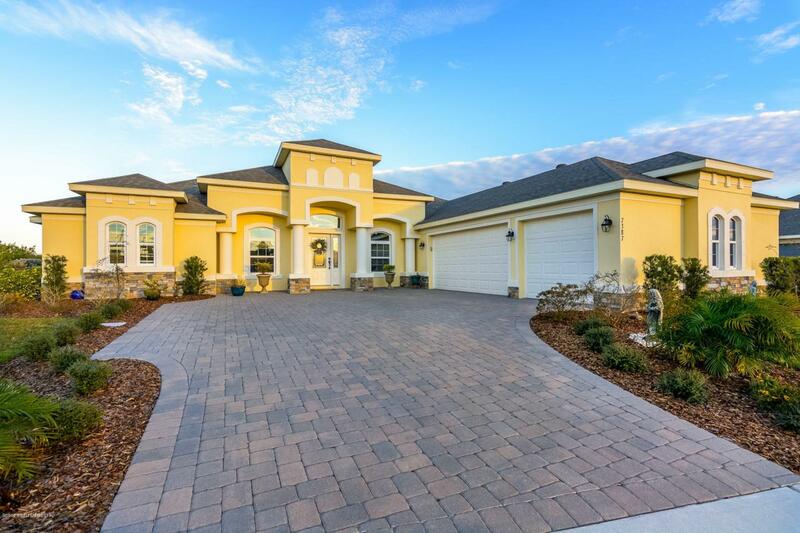 The home is perfectly located in North Merritt Island where you can enjoy fly fishing, kayaking, paddle boarding, hiking, bird watching just minutes from your home while still be close to the beaches, Orlando, Space Center, Port Canaveral, shopping & restaurants.